Figure 4-32. Control Unit Removal. 7. Open front storage box. 8. 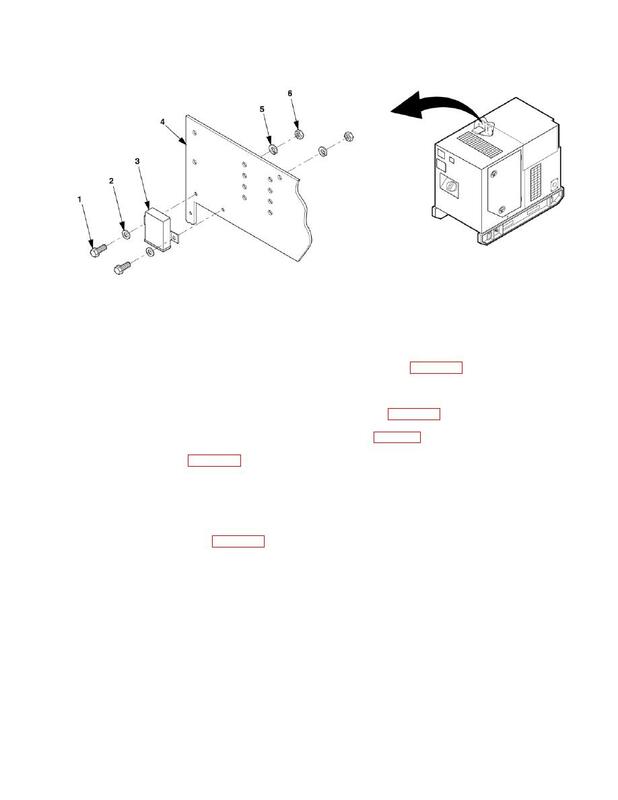 Remove electrical leads from P6-24, 25, 26 in accordance with wiring diagram, Figure 4-34. 9. Remove pins from J6-24, 26, and 25. 10. Remove toggle switch (5), indicator lamp (6), and heater switch label (7), Figure 4-33. 11. Remove rivets (4) from operating plate (2) and function code plate (3), Figure 4-2, from control panel door (1). 13. Remove wiring harness (2). 14. Remove left side fan guard in accordance with TM 9-6115-642-24, and retain with hardware. remove tee (3) from primary fuel pump (1) and reconnect fuel supply line (13).